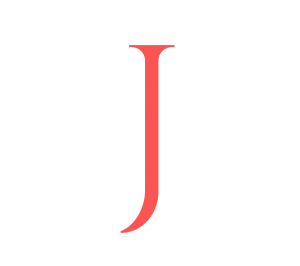 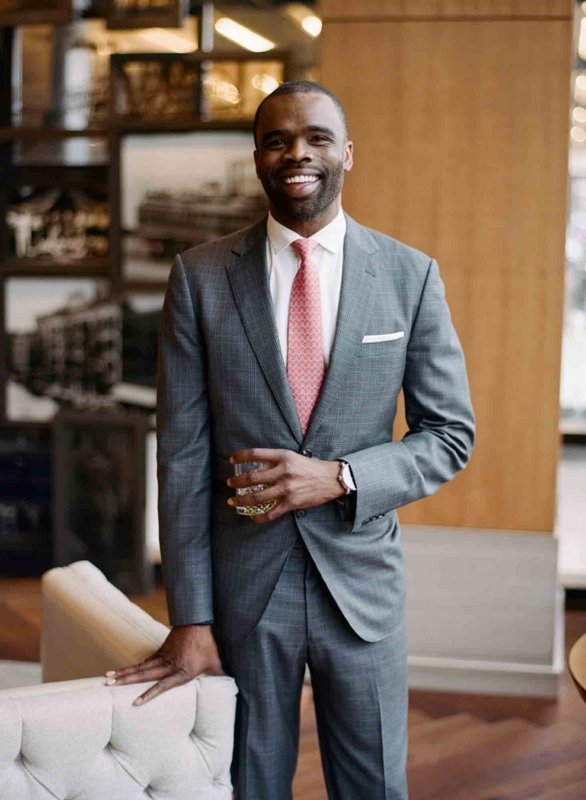 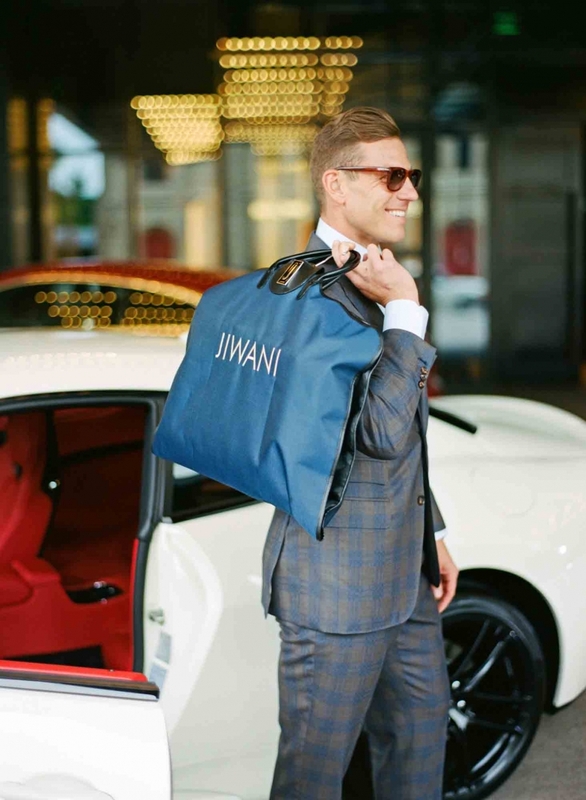 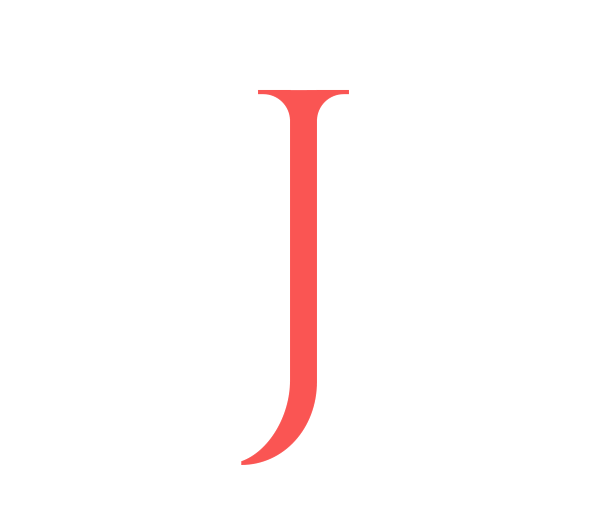 Jiwani offers high-quality custom clothing along with personal wardrobe consultations. 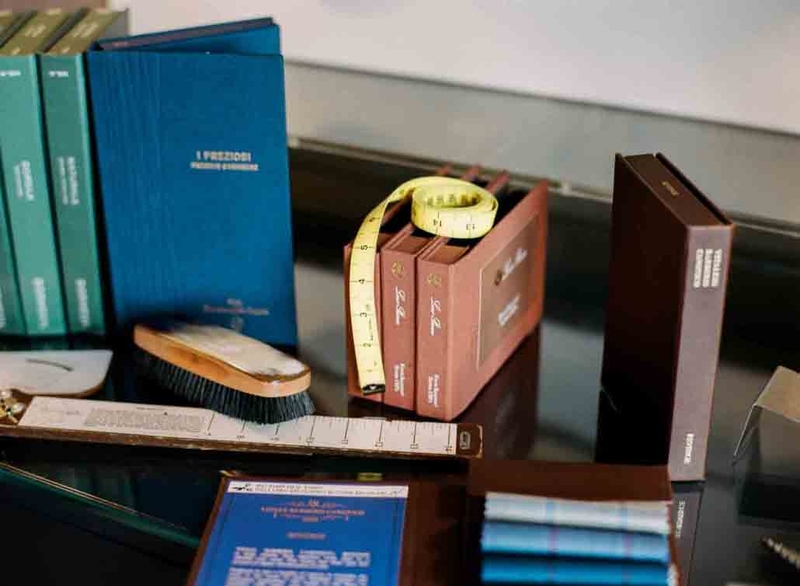 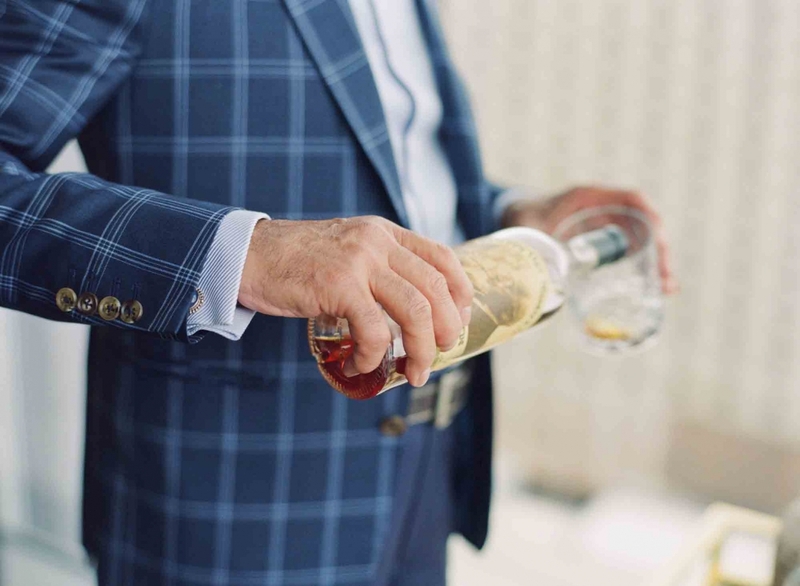 We personally oversee every aspect of the tailoring process to insure the best possible experience for our customers. 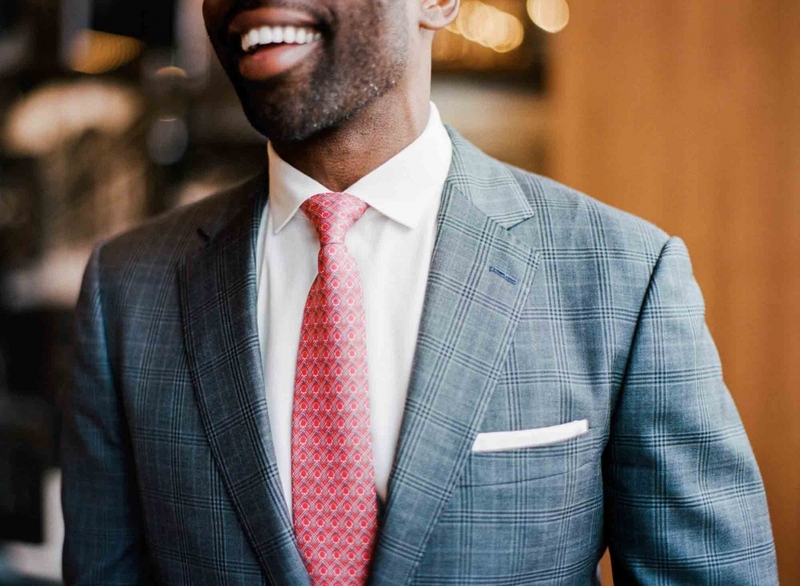 Our personal image consultants can visit you at your home or office, or you can visit us at one of our offices across the country. 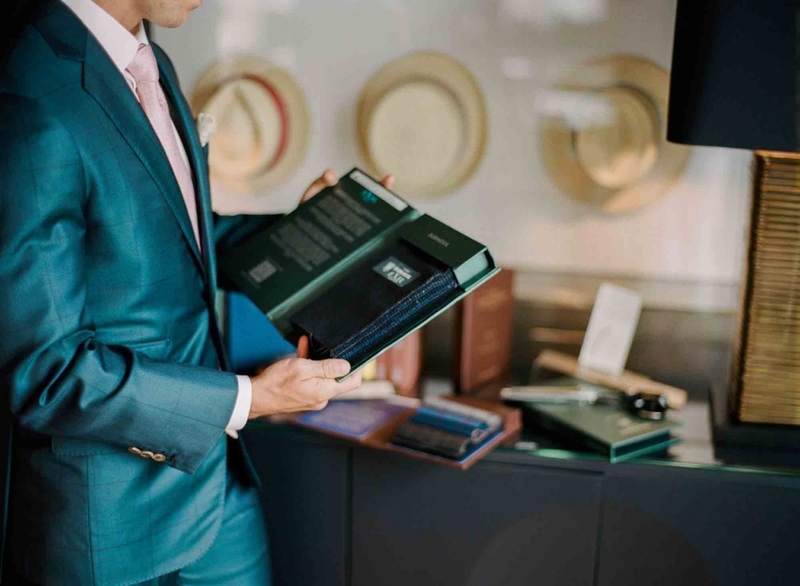 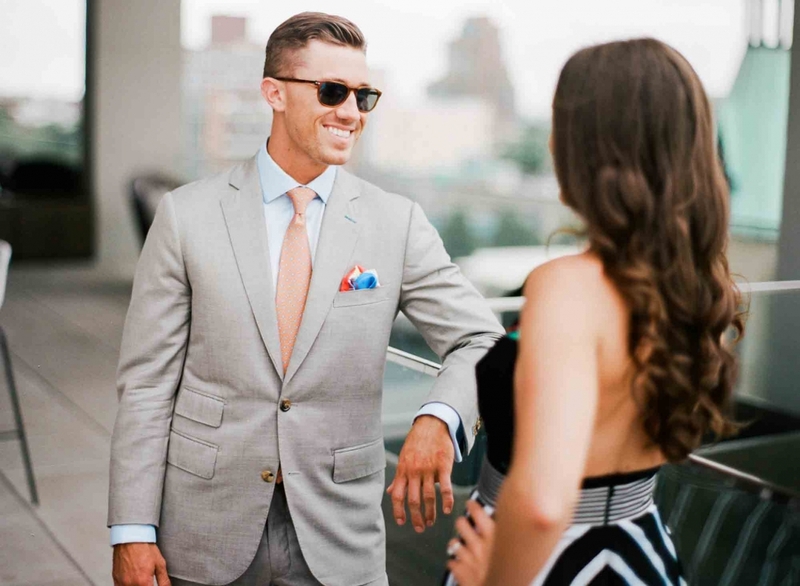 After your fitting, your finished custom suit will arrive in 4-8 weeks. 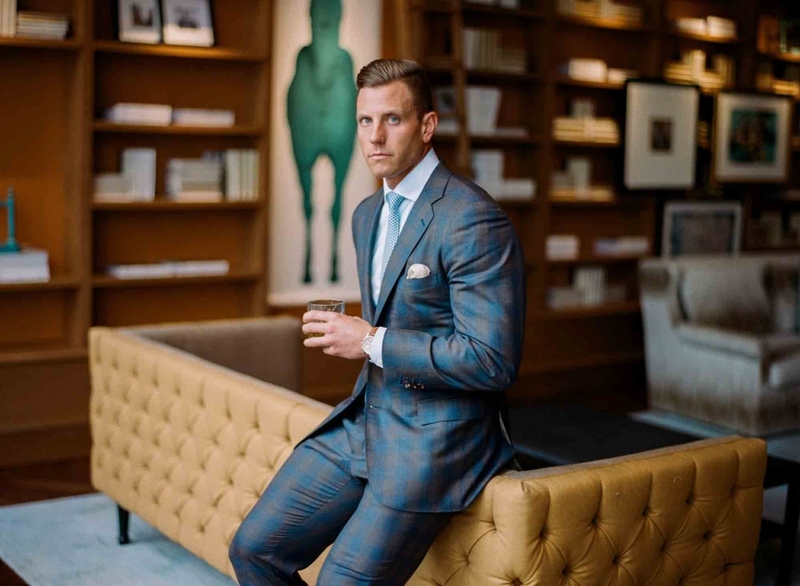 Please call 1-800-TAILORS or request an appointment online to begin your custom experience. 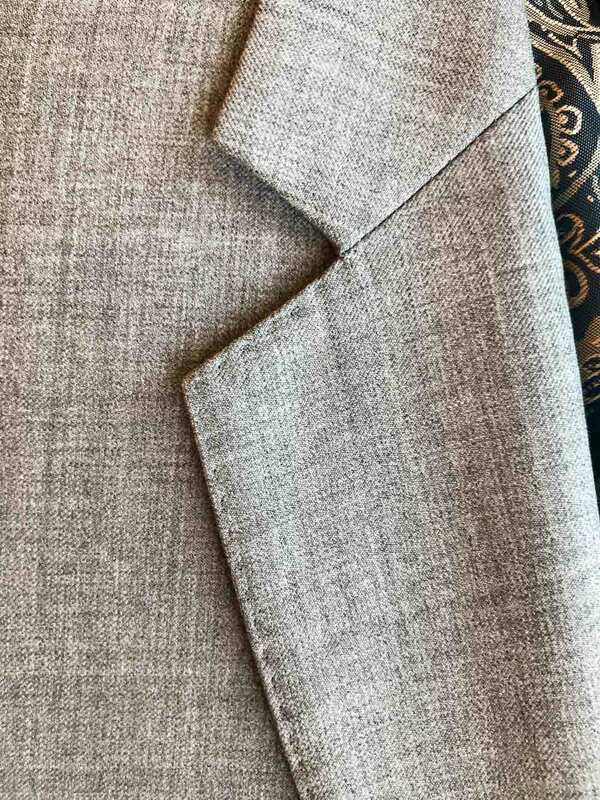 The small stitching that outlines the collar, lapel and pocket flaps. 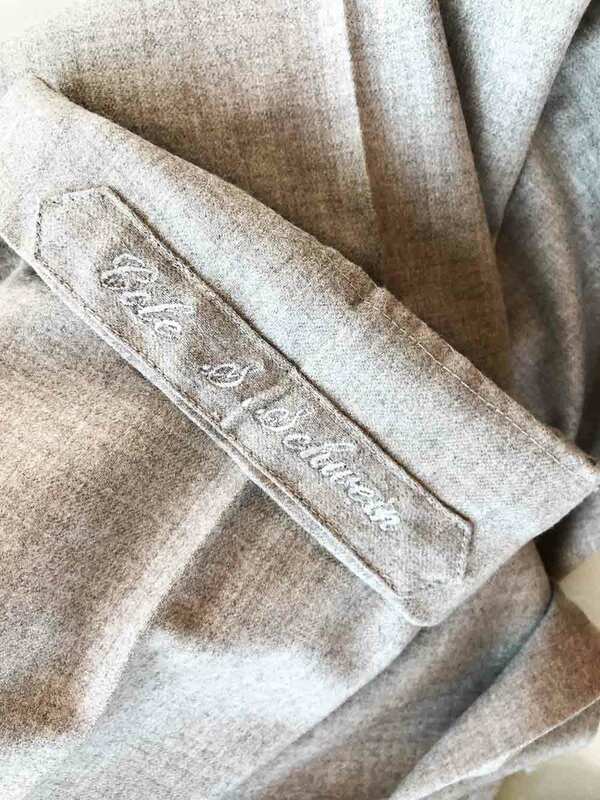 Also known as surgeon cuffs, this feature is a sign of a custom made jacket. 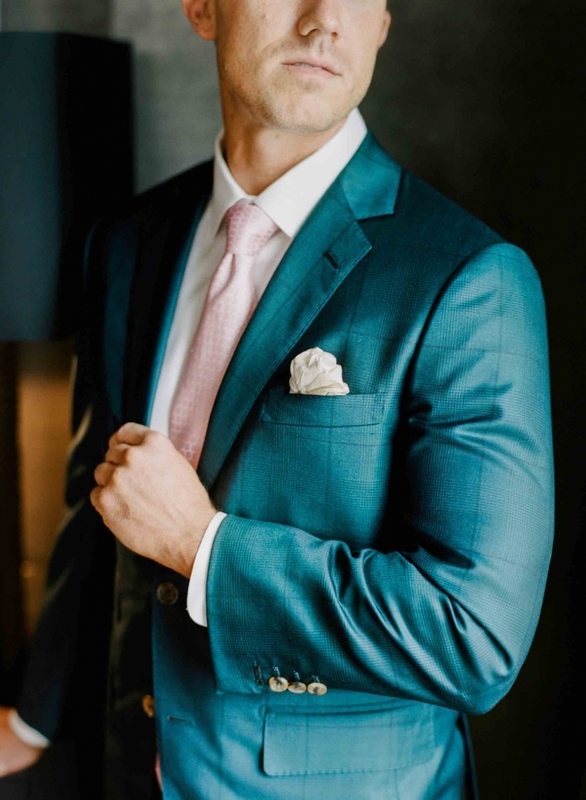 This shield is of the same fabric as the suit and allows you to breathe better and can be dry-cleaned. 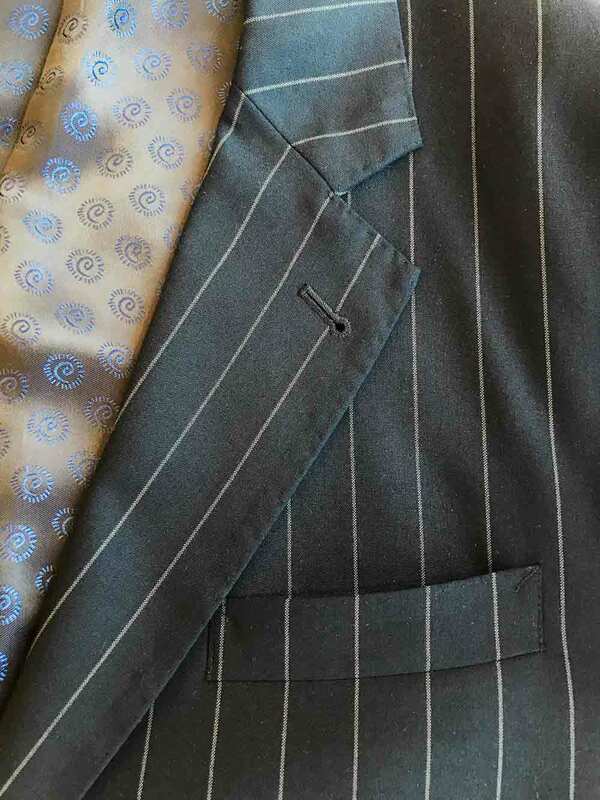 We recommend a fully lined Bemberg jacket for traditional suiting option. 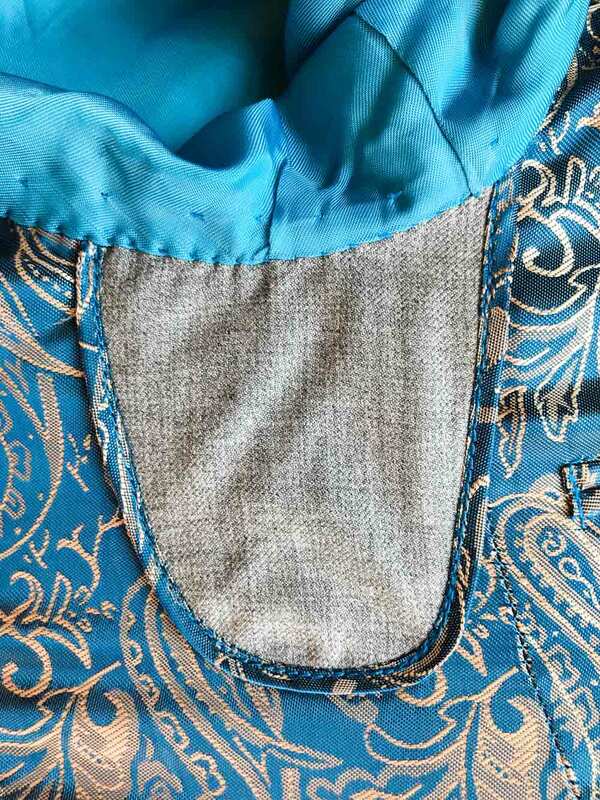 This allows for the jacket to maintain its shape. 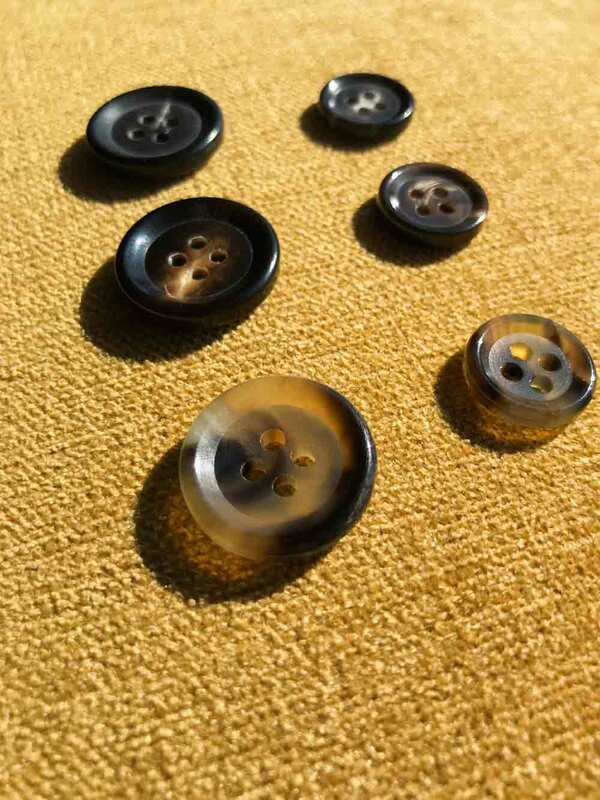 Our buttons come in light, medium, and dark. 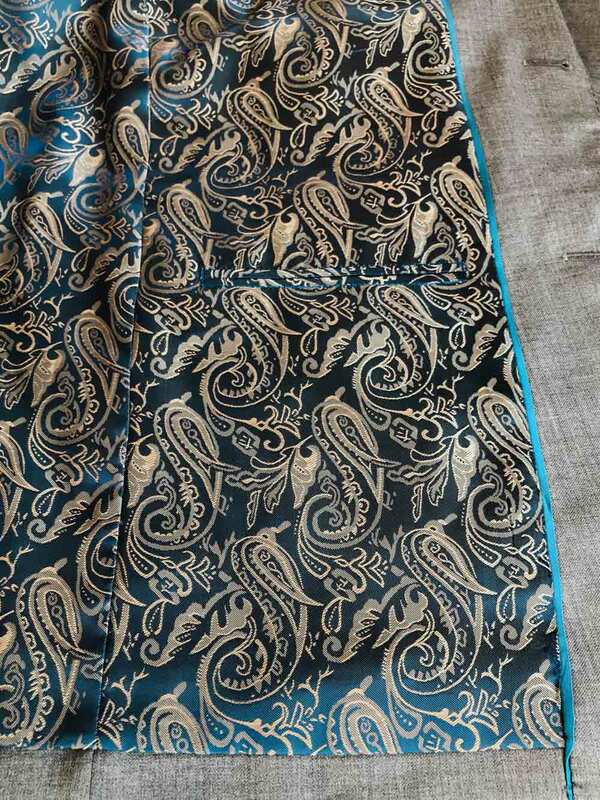 They are made from the horn of a bull. 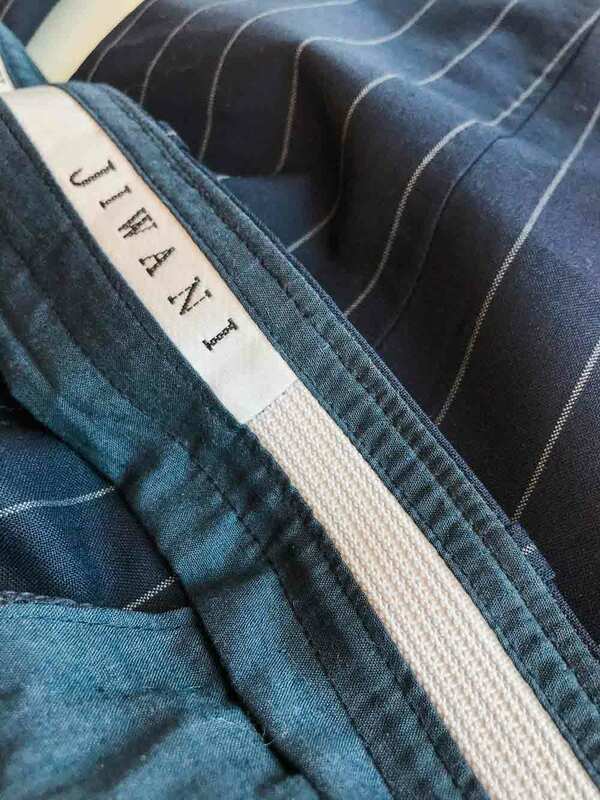 Rope tied and anchored inside the jacket. 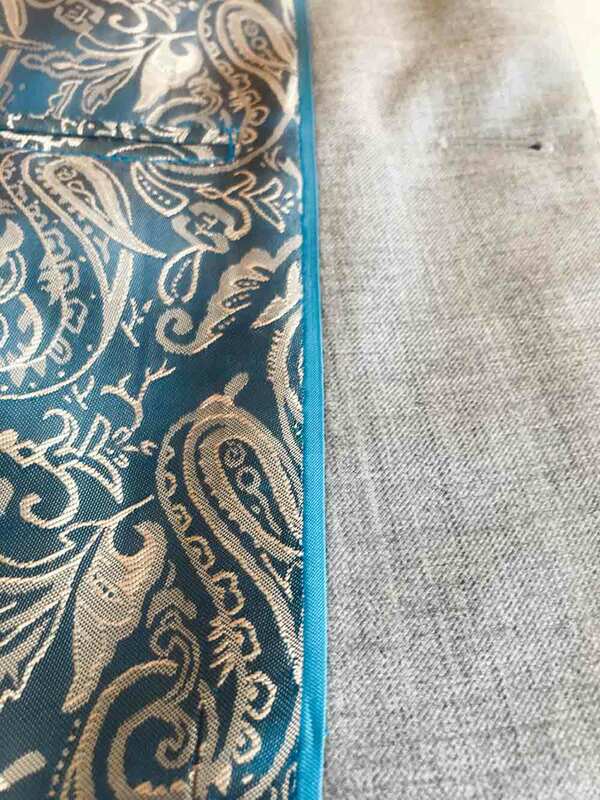 Clients select their piping and interior sleeve color to compliment the jacket. 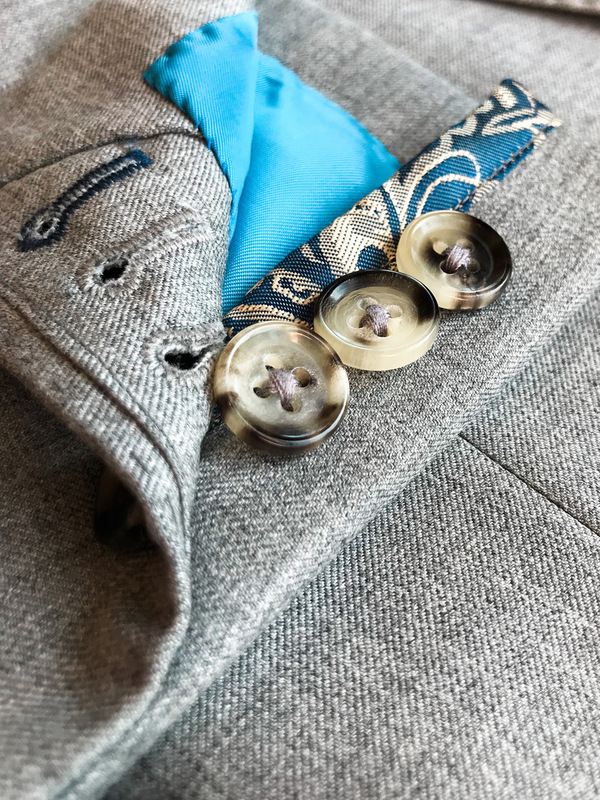 Our patterns match from the collar to the lapel and are consistent all the way down the front of the jacket. 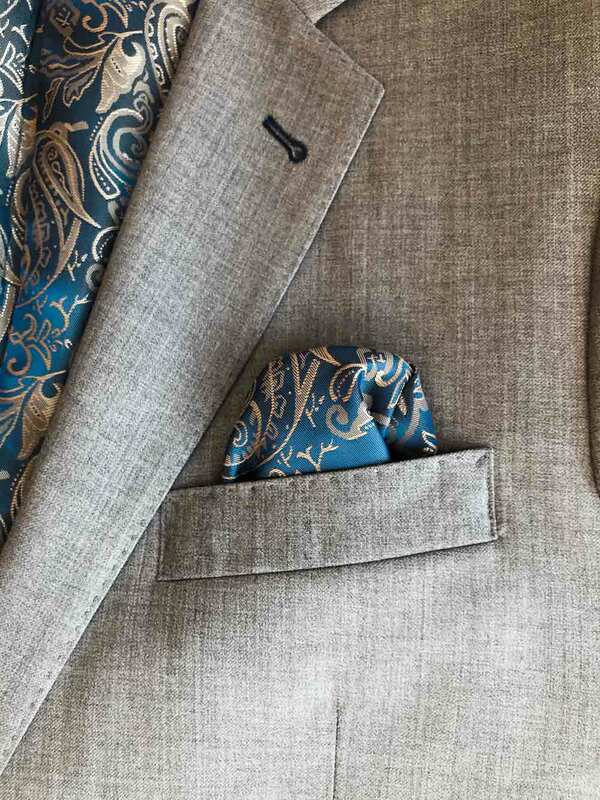 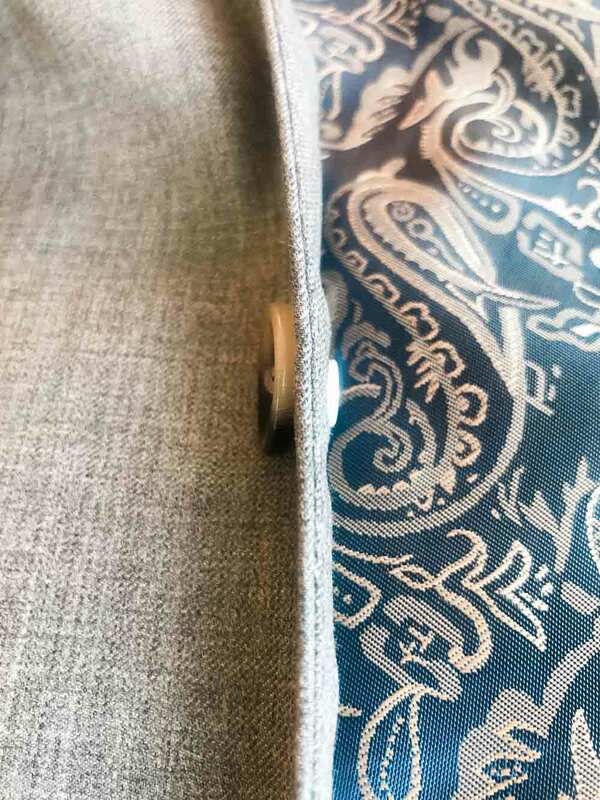 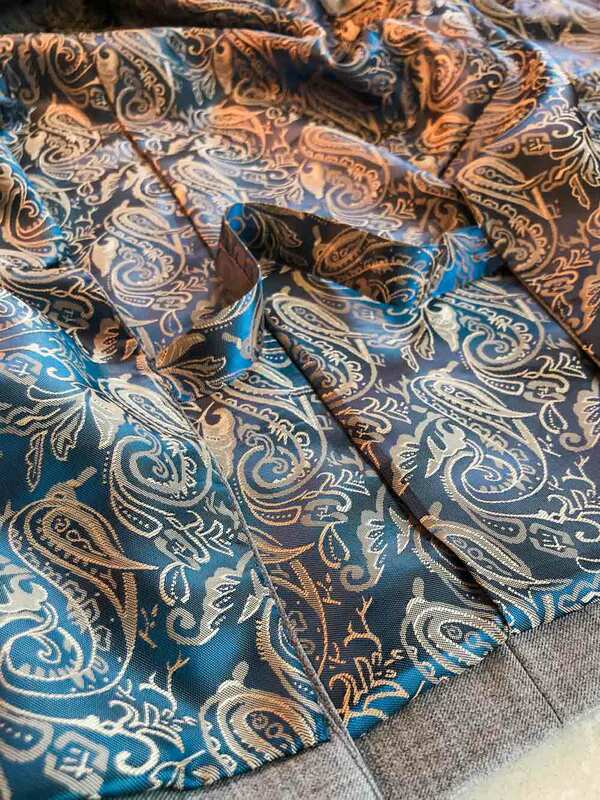 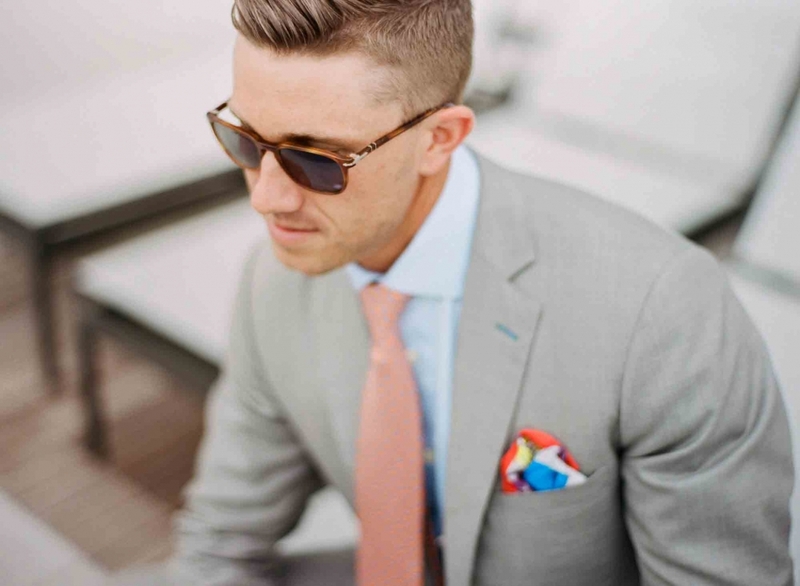 Pocket squares are the same as the fabric lining and come built into each jacket pocket. 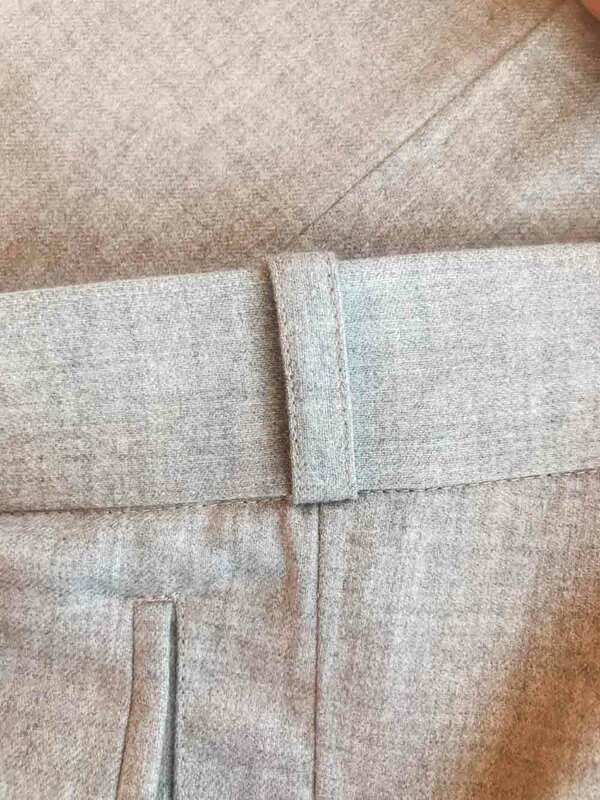 The belt loops are smaller, and hand sewn into the waistband creating a cleaner look and more durability. 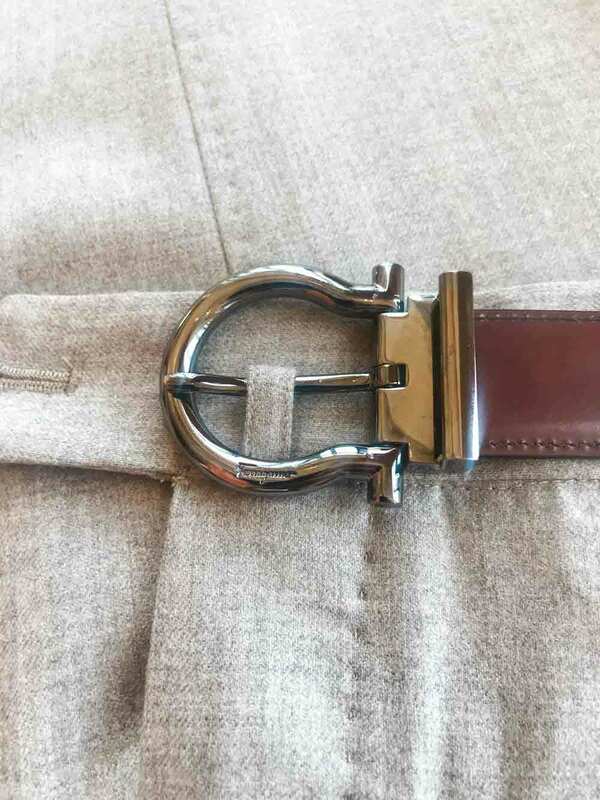 This feature is hidden by your belt, and prevents belt from sliding on your waist. 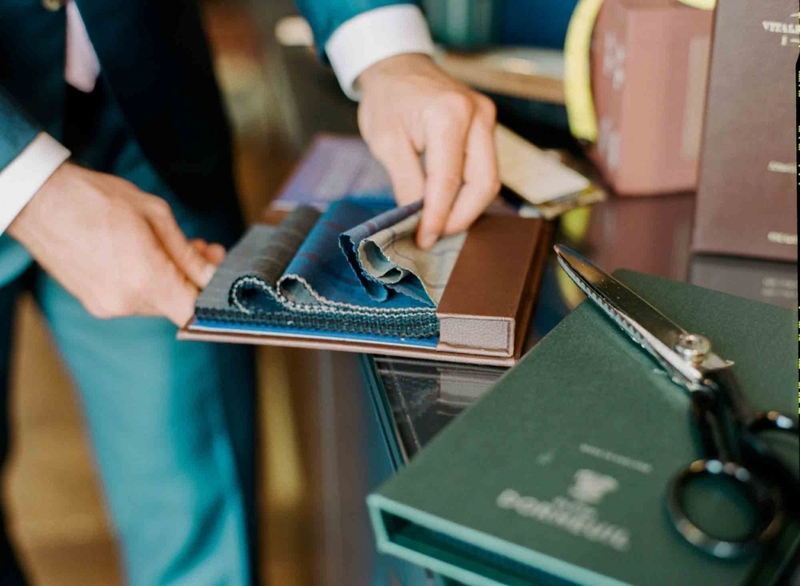 Every pair of trousers will have a built-in cell phone pocket sewn into the waist band. 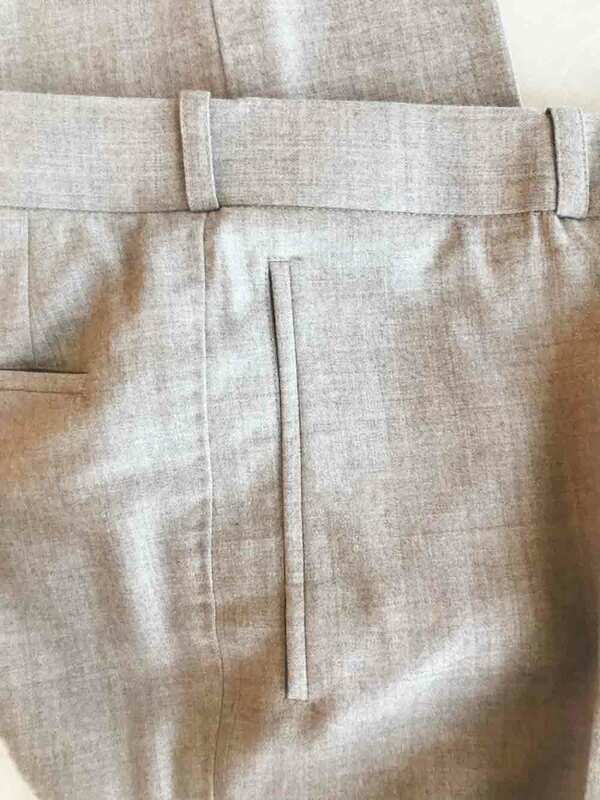 Pockets are 1 inch off the seam of the trouser, which takes aids with bunching and takes pressure off the seam. 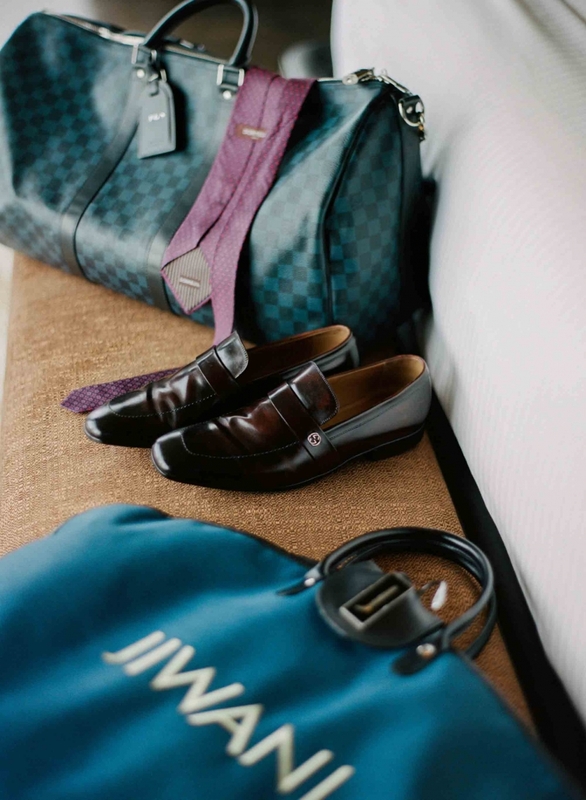 Heel guard add weight for the trouser drape, protect against shoe polish and outdoor elements, and monogrammed for an added custom detail. 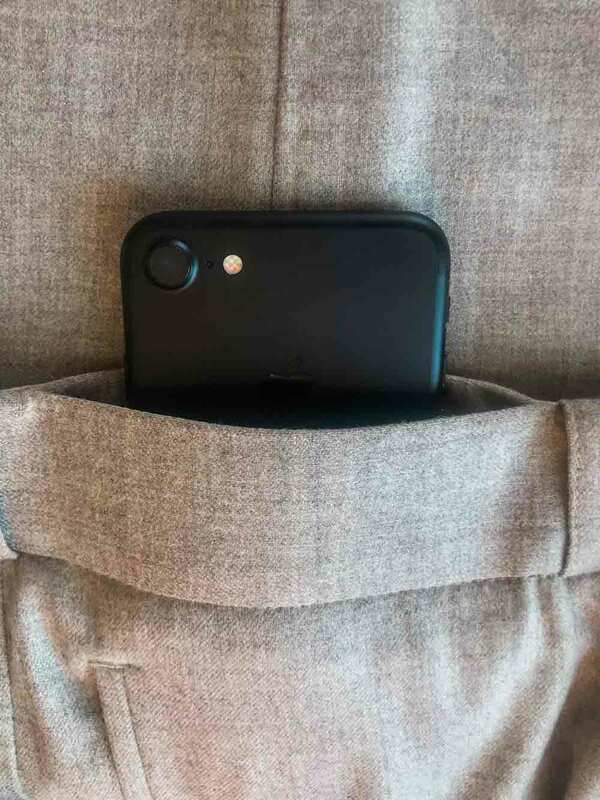 This feature aids in keeping your shirt tucked into your trousers.